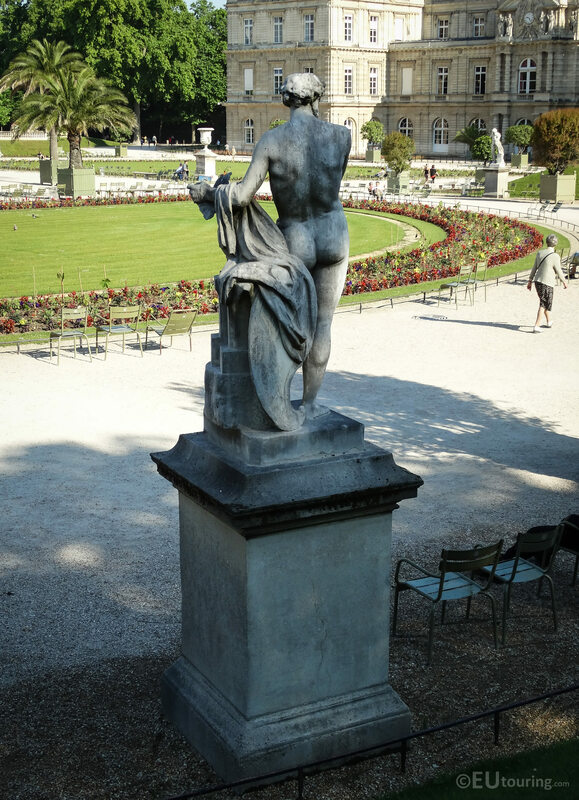 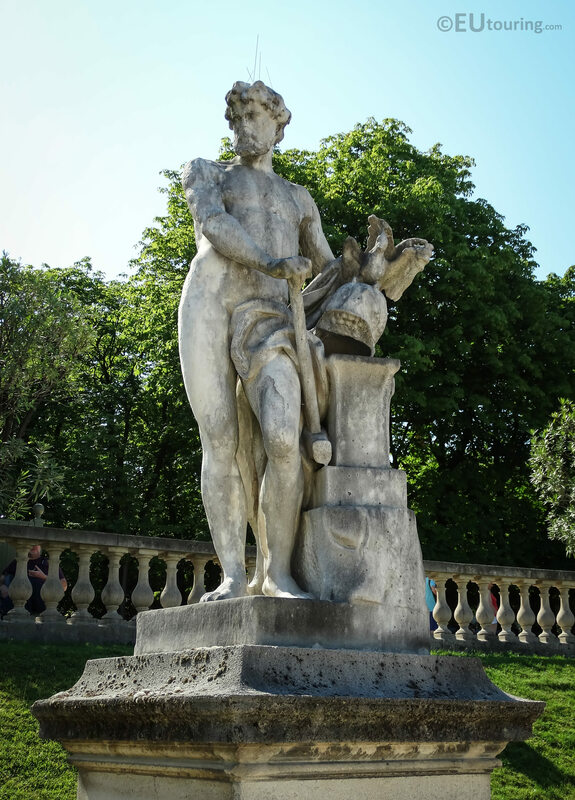 Again while we were within the Jardin du Luxembourg, located in the 6th Arrondissement of Paris, we took these high definition photos of a statue based upon mythology, which is called Vulcain or God of fire, and this was sculpted by Charles Antoine Bridan. 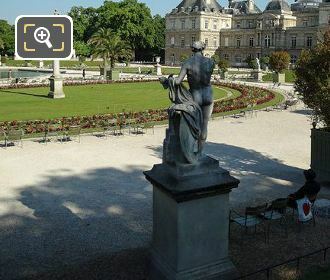 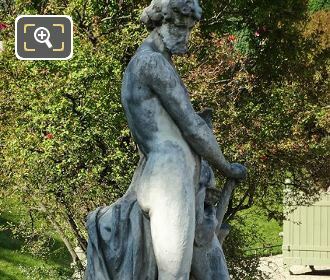 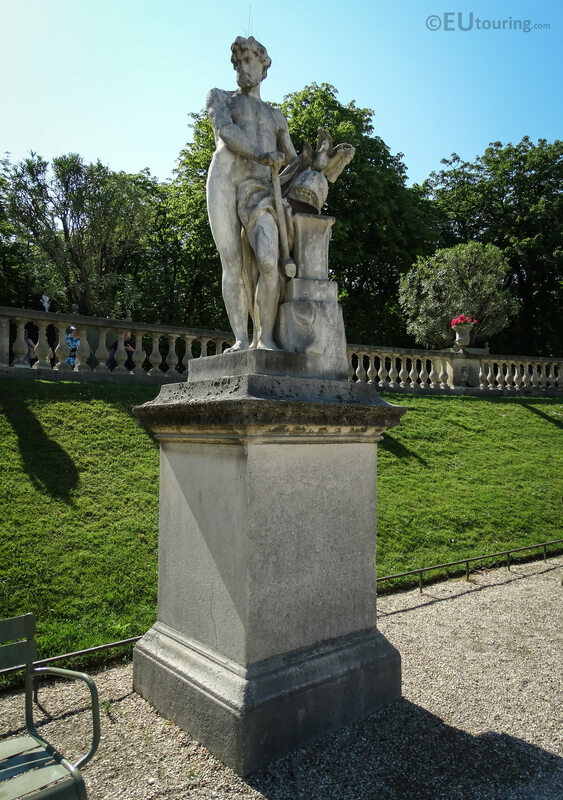 In this first HD photo you can see the statue called Vulcain Presentant les Armes qu'il a Forgées, which translates in English to Vulcan Presenting Arms he has Forged, yet this statue is also known as just Vulcain for short, and is located close to the staircase by the pond, or grand basin of the Luxembourg gardens on the lower level. 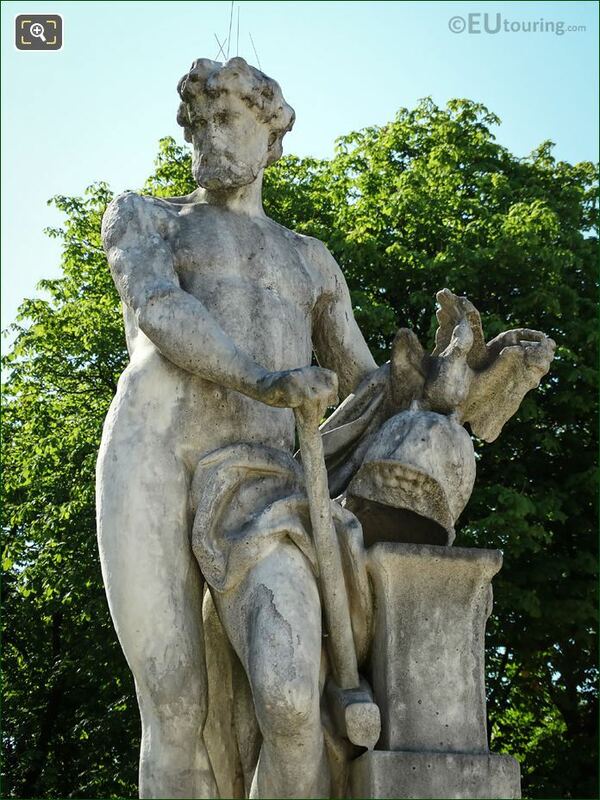 Here you can see a side view showing the statue of Vulcain, and in Roman mythology and Roman religion, Vulcan was the God of fire, or more specifically volcanoes, with the named derived from the Latin vulcanus, plus he was represented as the God of metal works and the forge. 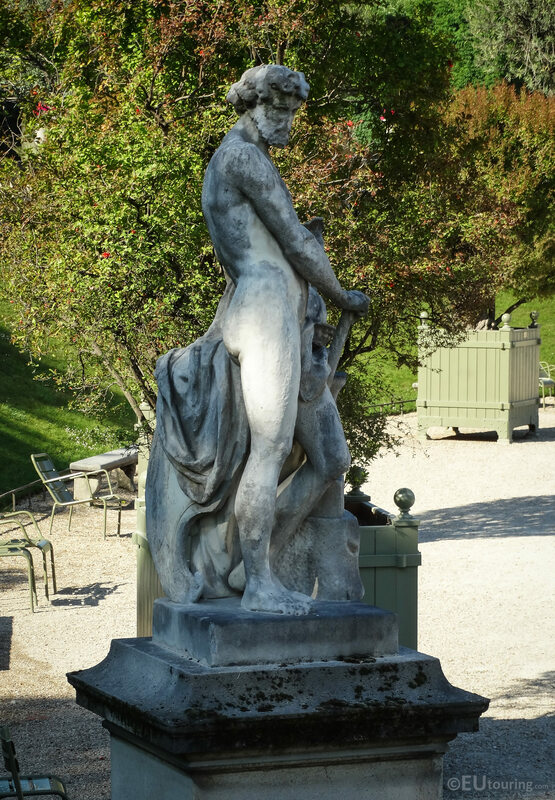 Originally there was a plaster model made of this statue, which was presented at the 1777 Paris Salon by the artist Charles Antoine Bridan and Vulcain Presentant les Armes qu'il a Forgees was then presented in its full size marble version at the 1781 Paris Salon. 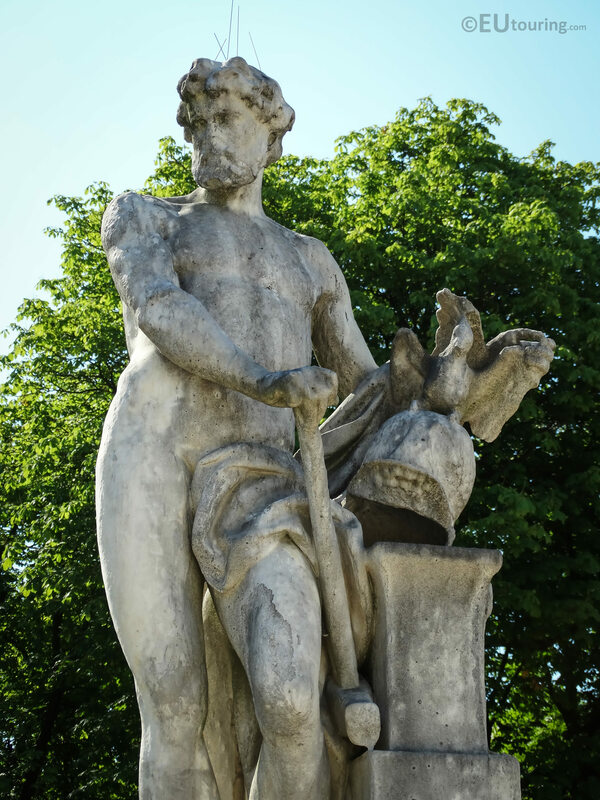 Now in this close up HD photo you can see how the artist depicted the God of Fire and of the Forge, as he is holding a blacksmiths hammer in his right hand and a helmet he has produced in his left hand, and in Greek mythology, this same God was called Hephaestus, who was also a God of blacksmiths, craftsman, fire and volcanoes. 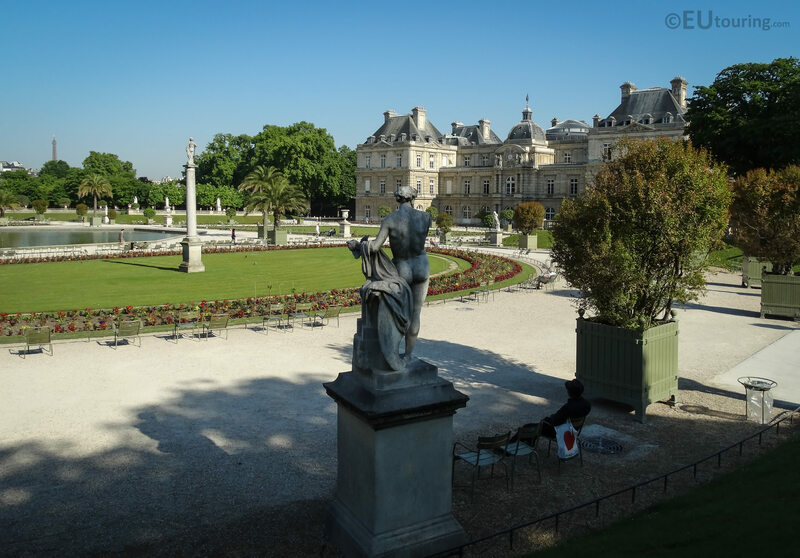 When we took this photograph we were standing on the upper level of the garden, which is one of the two balustraded terraces that go along either side of the main garden, and looking at the back of the statue you can see that it is facing towards the Palais du Luxembourg, which is the former palace that became home to the French Senate. Getting back to the artist Charles Antoine Bridan, he was born in 1730 and spent some time in Rome before returning to France, and in 1780 he was appointed as professor of sculpture at the Royal Academy, which was eventually replaced by the Academie of Beaux Arts and then the Institut de France, and he passed away in Paris in the April of 1805. 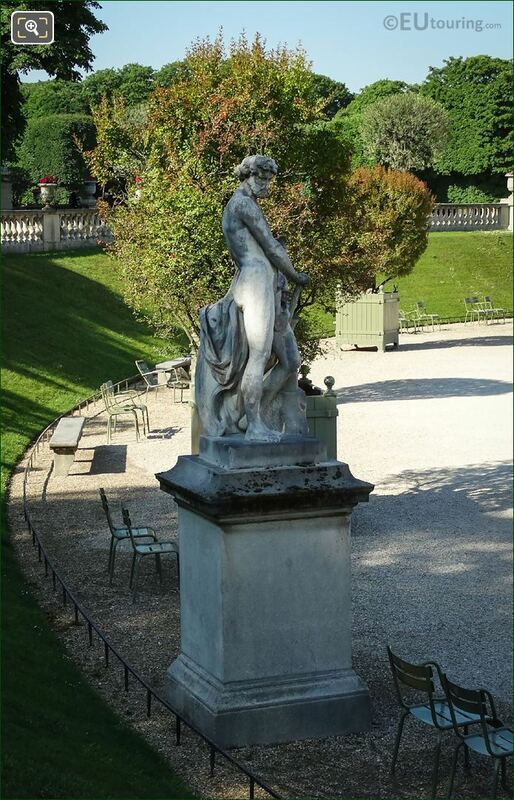 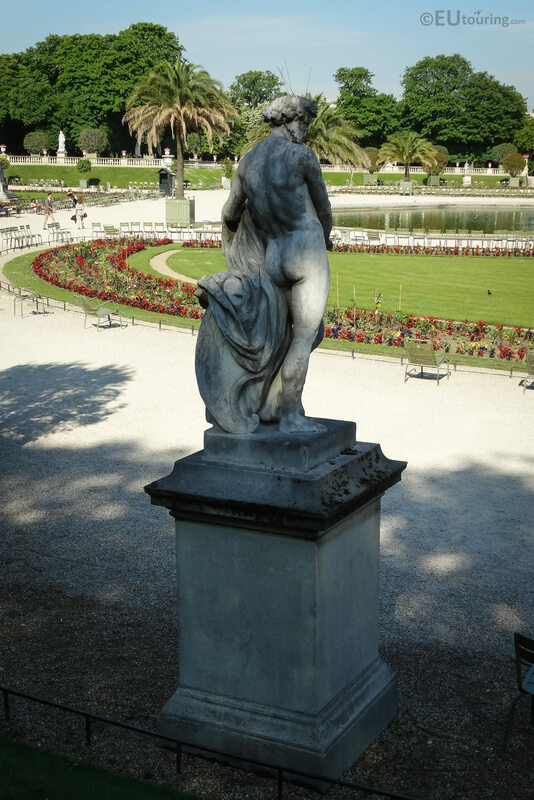 And this particular marble statue of Vulcain, or Vulcan, stands at almost 2 metres in height and in an inventory produced in the Nivose Year XI, which was a French calendar system invented mainly for artillery, and it is confirmed that the statue was in place in the Jardin du Luxembourg in the winter months of 1802. 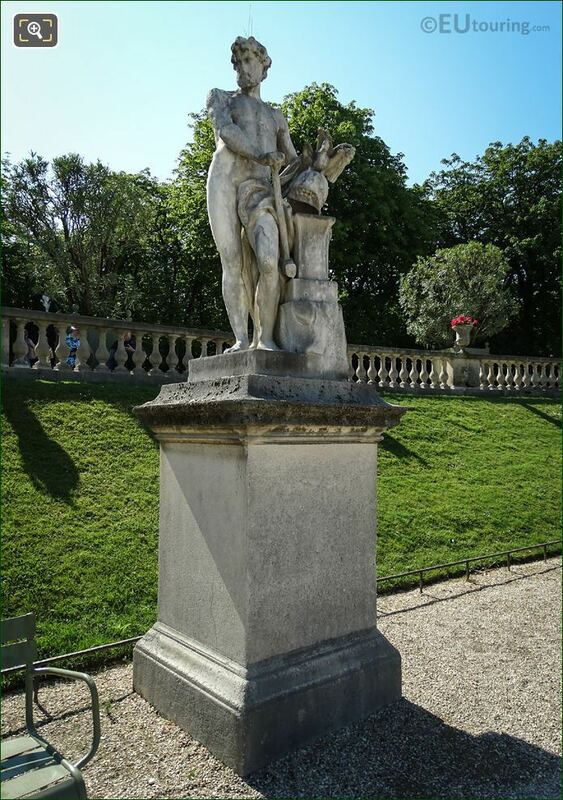 Now in this last image of Vulcain Presentant les Armes qu'il a Forgees, or Vulcan Presenting Arms he has Forged by the French sculptor Charles Antoine Bridan, it shows a different view of the Jardin du Luxembourg, and you will find that many of the artists other works are held at the Versailles museum, although you can also see another statue Bridan produced located on the Arc de Triomphe du Carrousel at the Tuileries gardens in Paris.